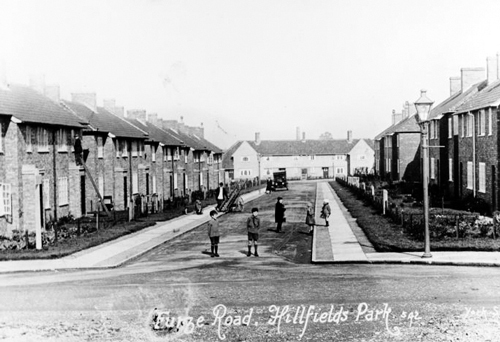 HILLFIELDS will be under the spotlight this year as the area celebrates 100 years since the first council housing was built. 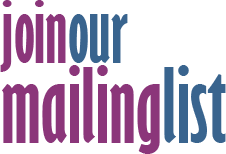 The area, along with Sea Mills, St Judes and Knowle West, will benefit from funding from the Heritage Lottery Fund (HFL) for a number of projects which will take place throughout 2019. Known as Homes For Heroes 100, the programme will explore the history of the areas and the people that have lived and worked there over the last century. The programme will not only look at homes – their layout, how and why they were built – but also other buildings on the estates, including schools, libraries and pubs, and the differences that they made to the communities who lived there. The funding will also support a new community project in Hillfields which is being run by Local Learning. The start of the first major era of council house building in the UK came after the 1919 Housing and Town Planning Act, known as The Addison Act after the then Minister of Health and Housing, Christopher Addison. The act was introduced in the wake of a speech delivered by Prime Minister Lloyd George regarding British troops returning from The Great War in which he called for ‘a country fit for heroes to live in’. Bristol’s first post-war council house tenants moved into Beechen Drive, Hillfields in 1919 where there is now a commemorative plaque. In September 1920 more than 87 per cent of the 676 applicants for houses on the Hillfields estate were from ex-service personnel. Other estates across the city were soon completed with the first sod at Sea Mills cut by Addison himself in a ceremony in June 1919. An oak tree was planted in Sea Mills Square to mark the occasion and remains today. Andrew Kelly, director of Bristol Cultural Development Partnership which is coordinating the programme, said: "The 1919 Addison Act was not just about building homes; it was about creating communities and changing the social fabric of the country. "Originally promoted as homes for the returning heroes of the war and as fresh starts for those displaced by slum clearance, in recent decades council housing – and the social housing that has partly come to replace it – has attracted an unwarranted stigma. Council house residents have been marginalised for generations and the culturally important heritage that lies within their estates is little-known. "Through community-based research and hands-on activity leading to high-profile showcases in the estates involved, the city-centre and online, the Homes For Heroes programme will celebrate the council estate past, present and future." Pete Insole and Ruth Myers, from Local Learning, will be working in Hillfields. They said: "We are very excited about working with the Hillfields community to celebrate this important event in both the city’s and nation’s housing history. We are looking forward to finding out more about the impact of Addison’s Housing Act." Homes For Heroes 100 has further backing from Bristol City Council, which will be contributing £80,000, as well as from Arts Council England, Bristol Cultural Development Partnership and Heritage Schools. The programme will include the launch of a new book written by people who have grown up on council housing estates; the story of council housing in Bristol told in comic-book style; walking tours around the estates; a day event as part of Festival of the Future City; the planting of an oak tree at a new council housing site, and much more. Planning issues and debates around the nationwide shortage of housing will be raised and the new areas of social housing being created by Bristol City Council will be celebrated. Cllr Paul Smith, Bristol City Council's cabinet member for housing, said: "Not enough new homes are built each year in Bristol to meet the demand and this results in high rents and escalating house prices. We want to show that providing affordable homes can be done. Taking the time to celebrate and be inspired by the first waves of Homes for Heroes is a great way of helping us plan for the future."